Sheep Wool insulation is a completely natural and environmentally friendly material, complementing the theme of this system. Choosing natural materials for timber frames ensures that the building structure is supported in the long term. Mechanical fixings are used as the primary method of securing the insulation to the substrate. Stainless steel wood screws should be used for Wood Fibre insulation. The ‘better living system’ is a timber frame build, comprised of sheepwool insulation, laid between timber battens on top of an OSB board. Wood Fibre insulation is then secured to the timber battens and then finished with a breathable render. 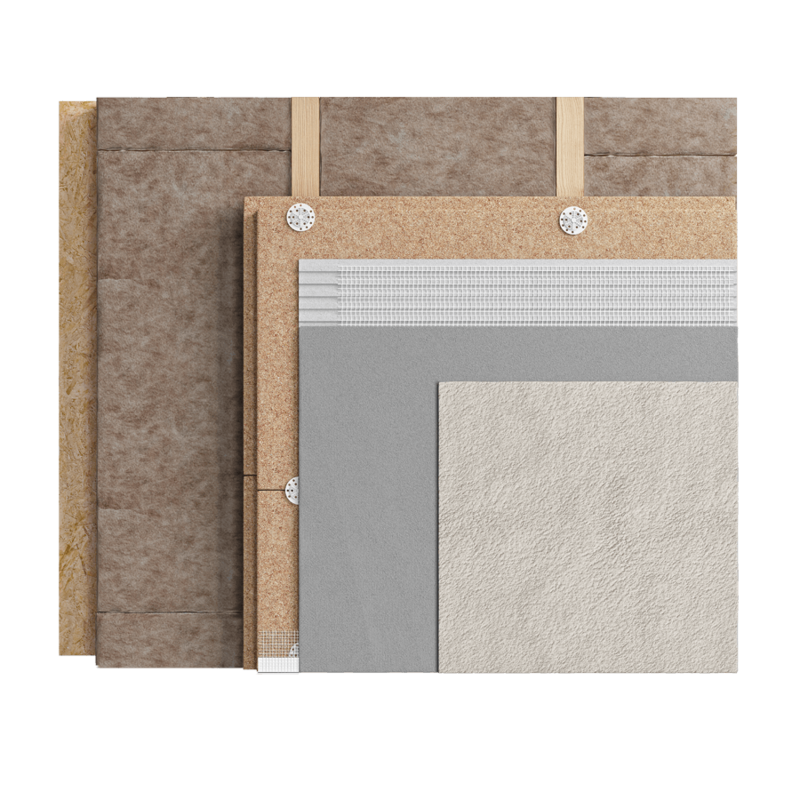 This is the most eco-friendly system in the EWI Pro catalogue, using renewable insulation materials with a breathable render to ensure performance while also being conscientious of the environment.